The Rotary Club of Andover is pleased to offer high school graduating students of the Andover community a scholarship program in remembrance of Philip Mercandetti and Barbara Doran and others. 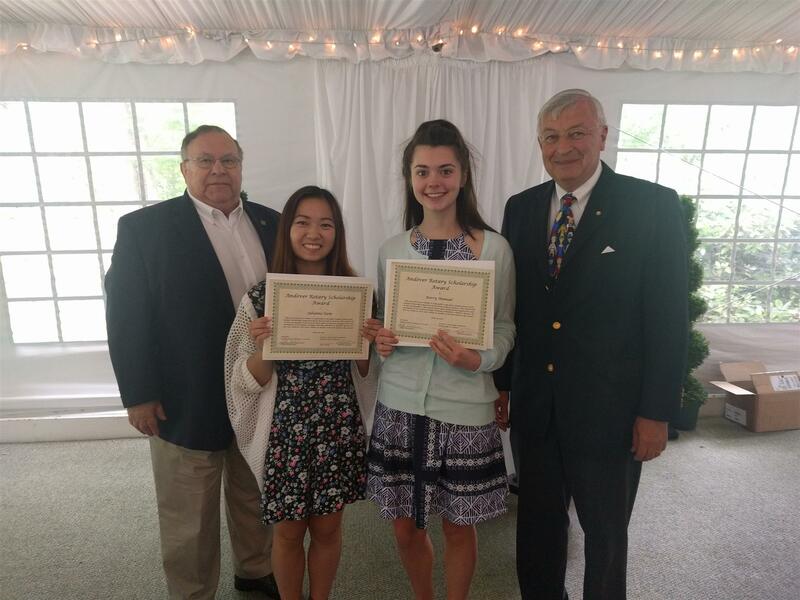 Since the founding of the Rotary Club of Andover in 1995, the club has awarded more than $100,000 in higher education scholarships to high school students living in Andover. To be considered for a Rotary Club of Andover scholarship, the student must be domiciled in Andover, cannot be a direct relative (parent, grandparent or guardian) of a Rotarian and will be attending an institution for higher learning during the next normal semester. Selection will be based on completeness of all information requested, need, community service, scholastic history and future goals. Successful candidates will be asked to appear in person before the Scholarship Committee. The decision for scholarship award will be based solely on the Rotary Club of Andover Scholarship Committee. All awards will be made to the selected students once proof of enrollment and attendance has been provided. Attn: Scholarship Committee to be received no later than April 2, 2019 to be considered. 6. Letters of recommendation from teachers, counselors, employers, etc. Scholarship application can be downloaded here.